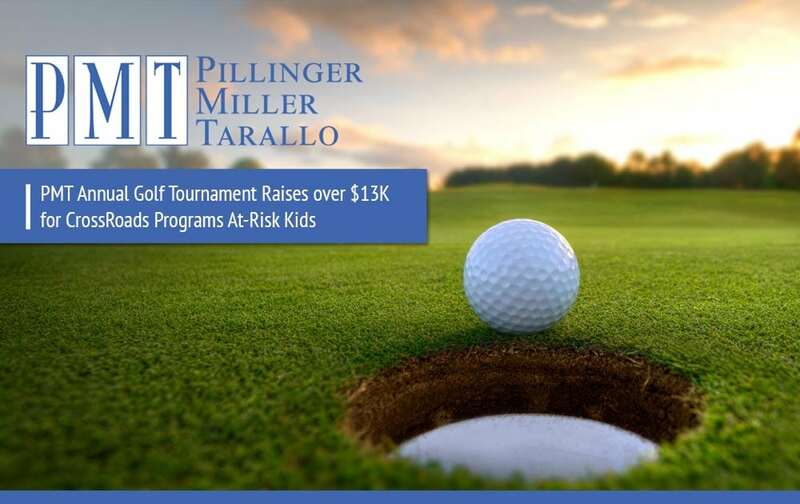 Over the Summer the PMT Law Firm held it’s Annual Pillinger Miller Tarallo Golf Outing. It was a great day with Raffles, 50/50, gift baskets, prizes, silent and live auctions. Most importantly, with the help of our friends, employees and clients we were able to raise $13,492.20 for Crossroads Programs. Crossroads Programs empower youth who are homeless, abandoned, abused, or at-risk to lead healthy, productive lives. Since that time, the agency has developed considerable expertise in serving youth who must transition to independent young adulthood without the support and guidance typically provided by family. The Crossroads continuum of care for homeless youth – shelter care, outreach services, group homes, residential treatment, community-based treatment homes, life skills training and family therapy – has resulted in improved outcomes and enhanced futures for the thousands of kids and families we have served. Please visit crossroadsprograms.org to learn more. 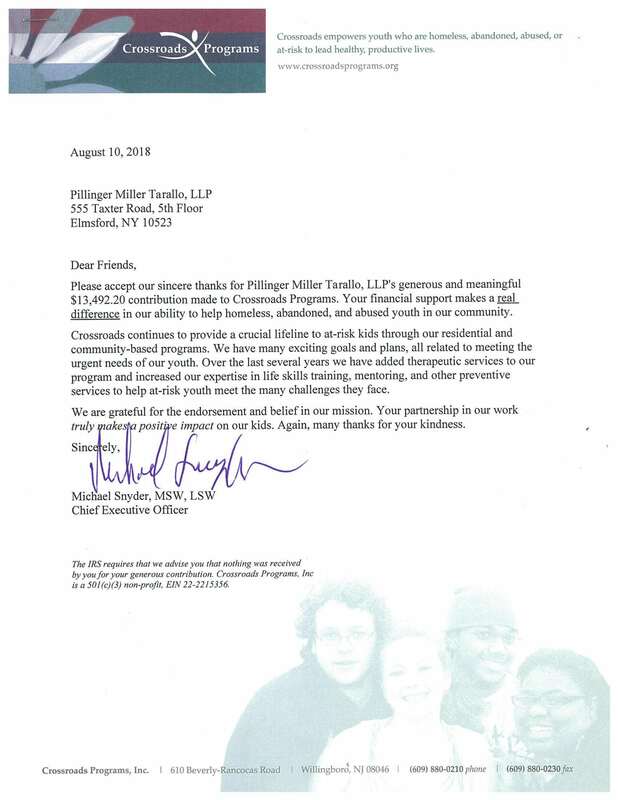 Click the image to see the letter of appreciation from the CEO of the CrossRoads Programs, Michael Snyder.